Obviously, this is not true of all (or perhaps even many) industries, and it's certainly not true of all regulations. However, the organic food industry thrives on regulation -- and for good reason. For consumers, it's only worth paying extra for organic food if you believe you're getting something extra. Does that organic label mean anything? Or is organic food basically the same as the non-organic food that costs less? That's where the regulations come into play. The rules for organic agriculture must be strict enough to convince consumers that they're getting a product worth paying extra for, but not so strict that no farmers can ever achieve them. One proposed rule they've withdrawn was a requirement that organic hens had to have access to an outdoor space with soil, and not just an enclosed porch with concrete floor. The proposed rule speaks to a longstanding difficulty in organic agriculture: It's difficult to profitably raise livestock, particularly in a large operation, while providing the animals with living conditions that organic consumers may wish for. Access to an outdoor area with soil doesn't go far enough for many organic consumers, who would no doubt prefer the hens also have access to grass. Chickens enjoy eating grass, and they especially love scratching in the dirt for tasty bugs. 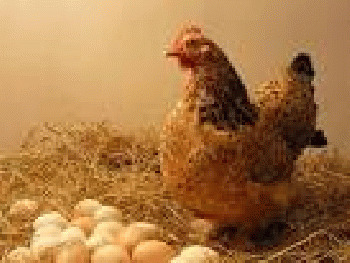 The chickens' diet affects the flavor and nutrition of the eggs, too. For a farmer, the problem is scale. If you put too many chickens in too small a space, they'll eat every blade of grass in no time at all. Given the tiny profit margins on each egg laid and the enormous number of laying hens required for a farm to turn a profit, it's hard to imagine any large egg operation having enough space to allow hens access to grass.